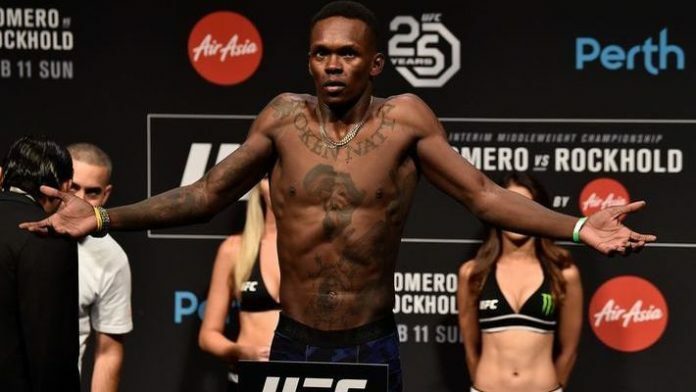 Leading into and coming out of UFC 234, Israel Adesanya was the hot topic in the MMA world. Indeed, Adesanya has received his fair share of hype, even prior to making his UFC debut last year. The hype has accumulated following each of his five victories, as has his confidence and lofty visions of the future. But with success and attention, comes detractors, backbiters, and ill-wishers. Adesanya would address these people in a recent appearance on Ariel Helwani’s MMA Show. “’Don’t lose your focus,’” Adesanya quoted Silva as saying. “And you can kind of hear it a little bit. Before Herb Dean grabbed us away, I said, I understand. I’ve seen a lot of snakes in this game. I’ve seen how this game is played. And not everyone is your friend. He’s like, yes! Yes! So he’s just telling me, don’t lose my focus, stay on the path of greatness, pretty much. What are your thoughts on the advice Anderson Silva offered to Israel Adesanya following UFC 234?